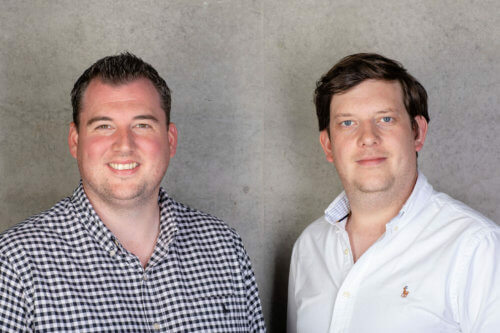 Robin Knox and Paul Walton have appointed Hot Tin Roof to provide strategic PR support to launch their new tech startup, Boundary. The new venture between the Intelligent Point of Sale (IPOS) founders is a smart home security system, bringing affordable protection to homeowners and renters alike. IPOS was sold to iZettle and then acquired by PayPal for $2.2 billion in May 2018. Hot Tin Roof has been instrumental in the launch of some Scotland’s most influential startups and digital technology enterprises including FreeAgent, Aquila Insight and CodeClan. The agency has worked with a number of key stakeholders from public and private sector to raise awareness of the digital skills gap over the last decade. Most recently it helped to launch Skills Development Scotland’s ‘Digital World’ a STEM and digital skills campaign aimed at teenagers and career changers. Hot Tin Roof director and founder, Sarah Lee has been involved in Edinburgh’s buoyant tech scene from the beginning. Working with companies who were the early tech pioneers, Hot Tin Roof has been educating the market in new and disruptive technologies, making sure companies have their stories heard and re-told by the media.